2 a.m. insomnia and none in the stack of half-perused books on the floor by my bed would suffice. Off I trundled to scour the shelves for something that would make being awake at such an hour a joy rather than an ordeal. 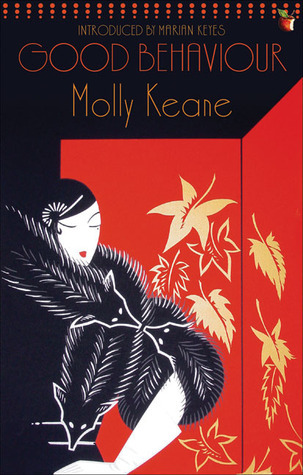 Tucked between the half-forgotten thrift shop finds from last spring was Good Behaviour by Molly Keane. Oh, good! Something to make me glad to be awake! Secrets, lies, betrayals, isolation, disinterest, jealousy, infidelity, ridicule, impatience, money worries, humiliation, death, seclusion, injury, name-calling, pity... I was riveted from the first page. Told in the first person, a challenging point of view to pull off, Molly Keane creates a complex character who, although unlikeable, is eventually understandable. We begin at the end, as the narrator, Aroon St. Charles is in charge of her dying mother (to say "caring for" would be inaccurate!). An eminently unlikeable character, cruel and domineering, and untrust-worthy, we wonder... "How did she become such a nasty piece of work?" She admits that she too is confused about how it is that things have gone so badly. All my life so far I have done everything for the best reasons and the most unselfish motives. I have lived for the people dearest to me, and I am at a loss to know why their lives have been at times so perplexingly unhappy. I have given them so much, I have given them everything, all I know how to give - Papa, Hubert, Richard, Mummie. At fifty-seven my brain is fairly bright, brighter than ever I sometimes think, and I have a cast-iron memory. If I look back beyond any shadow into the uncertainties and glories of our youth, perhaps I shall understand more about what became of us. The rest of the novel is Aroon recounting her life story. The world in which Aroon grew into an unloved and unattractive girl was devoid of any mentor for a healthy emotional life. Her beautiful mother is pathologically incapable of emotion, pouring her energies into her "preposterous and curiously hideous" paintings, that Aroon describes as "angular, airified shapes in a graveyard atmosphere, unimaginably ugly," and, into gardening. She appears to take no pleasure in anything other than her own company, and even food is of no interest to her. Aroon's father is an irresponsible philanderer who spends all his time at hunting and fishing. Her brother and his friend use her for their amusement. The rug is constantly being pulled out from under her just as she thinks she has gotten a toe-hold on some one's affections. Either that, or she is receiving unwanted attentions from those whom she distains (the family solicitor, and the comical Uncle Ulick) which make her feel even worse. Into her sad childhood comes Mrs. Brock, a jolly governess full of amusing stories and sympathy for the children. 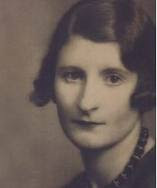 Her attempts to soften the hard edges of life in the St. Charles home, and the home of her future friend Richard, are all rebuffed, either in life, or in posthumous ridicule and rejection. Love and caring cannot thrive in such an environment. Aroon becomes a sympathetic character over the course of the book as we see her innocence and naivete being abused and misunderstood. As Aroon suffers blow after blow, and loss of self-esteem she cannot face reality. Incapable of seeing the truth that has always been hidden behind good behaviour she overlooks what is clear to the reader regarding the truth of all the relationships around her. Her mother and father are incapacitated by reality and brush it aside, just as they ignore the mounting bills, and turn away from grief. Aroon deludes herself about how others feel about her so desirous of being loved is she. Aroon has been lied to and manipulated so much that she is powerless within the family, ranking even lower than the household servants. This is what she has learned, and this is what she becomes. This novel is a psychological excavation of Aroon St. Charles's life, a reminder that we are all who we are because of the forces that have worked on us through our lives, and how we manage those challenges. In the guise of good behaviour many crimes are committed against Aroon who is stunted through neglect, ridicule and open distain. I thoroughly enjoyed this novel.